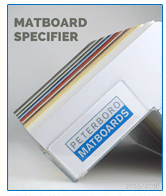 To request a sample of Peterboro Matboards products, fill out the form below and click 'Submit'. All fields except 'Notes' are required. Order # Product (Click on the product thumbnails to view a larger image.) Order Qty. NEW 2019 Summer Launch! Pre-Order Now! 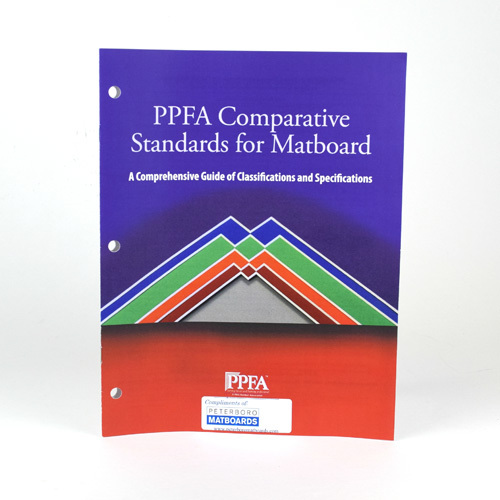 This Summer Peterboro Matboards is introducing exciting new colors in Conservation, Whitecore, Blackcore and Conservation Solid Core. Pre-order now for delivery in August. ALL OTHER ITEMS REQUESTED WILL SHIP WHEN SUMMER LAUNCH IS AVAILABLE. NEW! 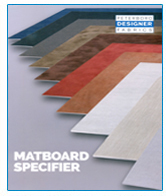 2020 Specifier Pre-Order Now! 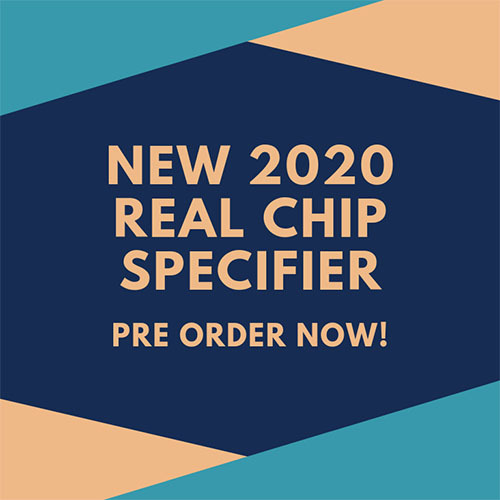 This new REAL CHIP specifier will be available August 2019, and will include all Regular, Whitecore, Conservation, Blackcore, and Conservation Solid Core references. 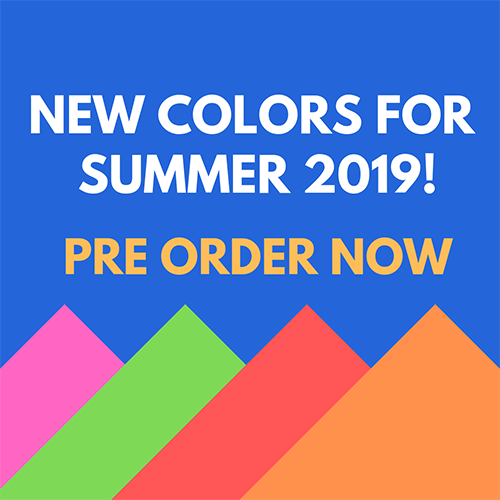 Pre-order now for delivery this Summer! This sample is not available when requesting SP-2015. 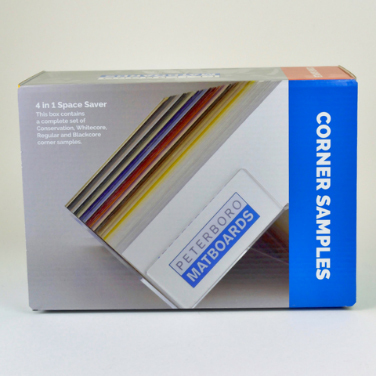 5 in 1 Space Saver: Contains all Conservation, Whitecore, Regular, Blackcore and Conservation Solid Core. This sample is not available when requesting CS-CWCCSC-0816. 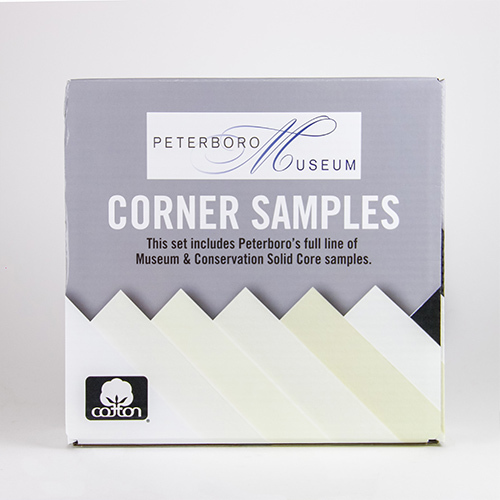 This set includes Peterboro’s full line of Museum 100% cotton matboards as well as our Conservation Solid Core line. This sample is not available when requesting CS-MB-NC-0417. This set includes the complete Designer Fabrics line of Silks, Real Linens, Linens, and Weaves, as well as our 2018 launch of Naturals, Satina, Heritage Weaves, and Crush references. 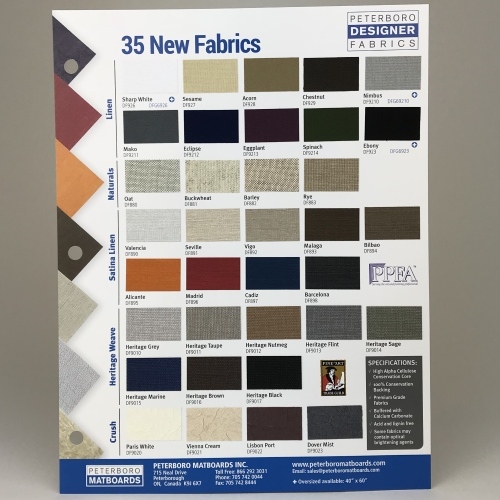 This sample is not available when requesting CS-FABRICS-NEW 2018. CS-FABRICS-NEW 2018 is included with CS-FABRICS–FULL 2018 includes ). 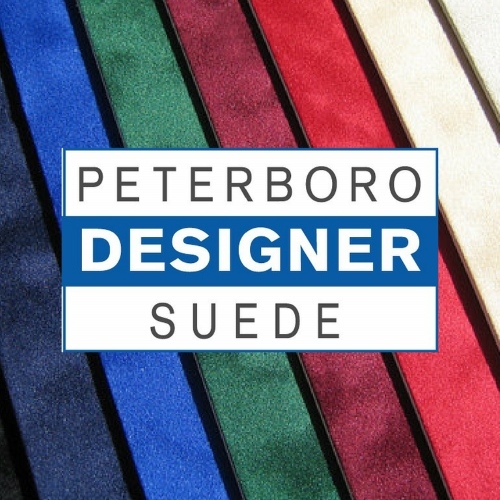 Featuring a Conservation core and Conservation backing, this set includes Peterboro’s full line of Designer Suedes. 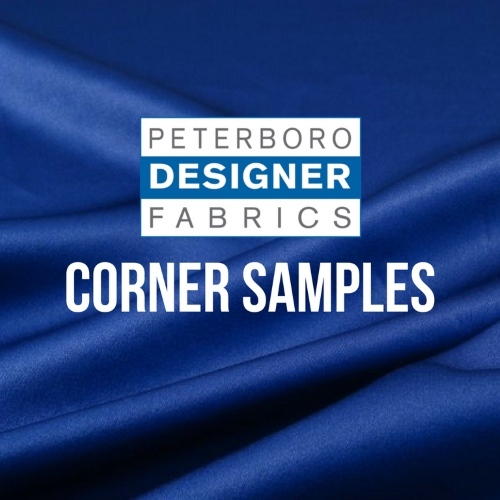 Please contact your local Peterboro distributor for this item and note that distributors may charge for corner sample caddies. 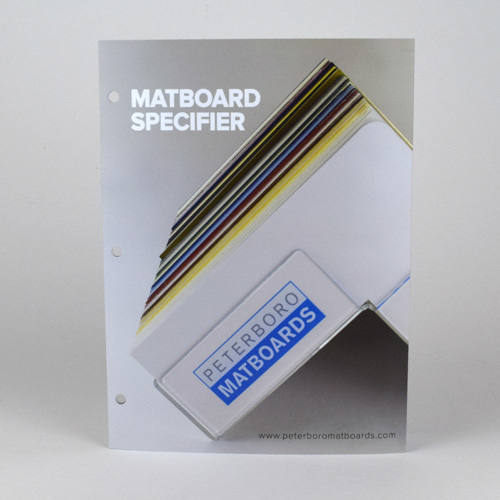 Order #: Mat Caddy 22"
This real swatch fabric matboard specifier contains Peterboro’s 35 NEW Designer Fabrics for January 2018. 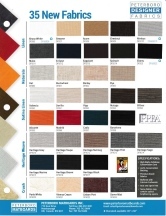 These new fabrics are divided into 5 style categories ranging from natural and rustic, to chic and contemporary. Linens, Naturals, Satina Linens, Heritage Weaves, and Crush. This sample is not available when requesting SP-FAB-2018. 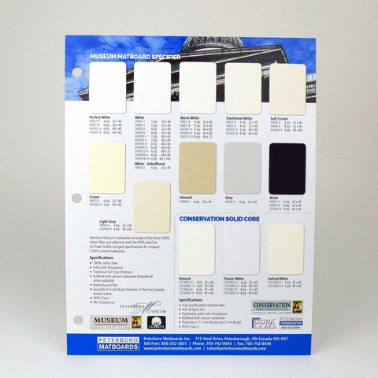 NEW for 2017 Museum & Conservation Solid Core Specifier. 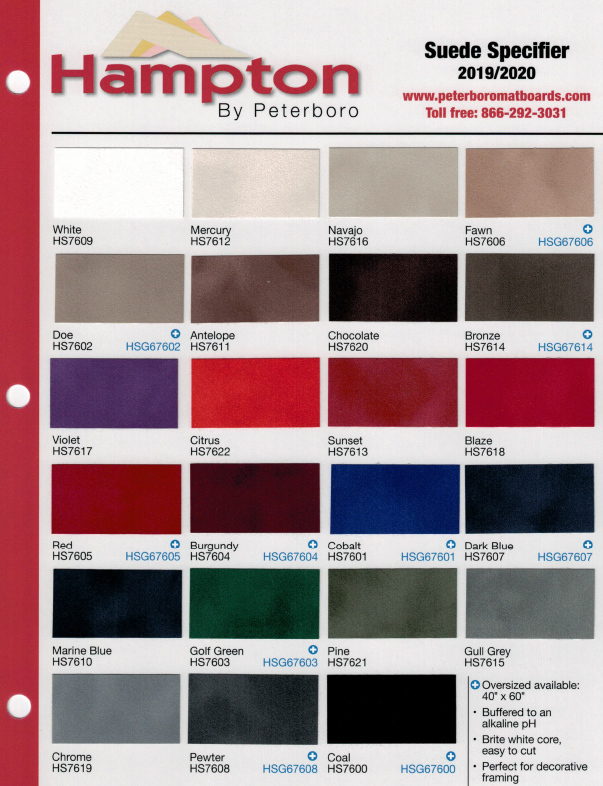 This real chip specifier includes a complete reference list of Peterboro’s Museum 100% cotton line, as well as our Conservation Solid Core line. This sample is not available when requesting SP-MBCSC-0417. 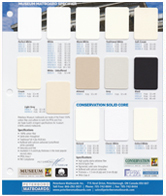 Swatch Specifier for Museum, Conservation, Whitecore, Blackcore and Regular matboards. This sample is not available when requesting SP-NC-16. This sample is not available when requesting SP-FAB-NEW-2018. 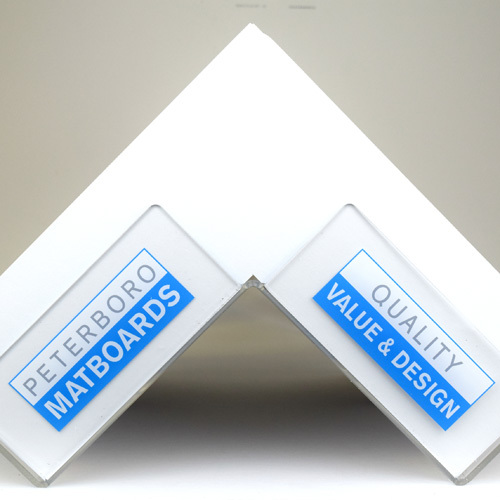 Contains 12 matboard caddy dividers, labels for each of our Peterboro matboard lines, as well as extra blank labels for custom labeling. 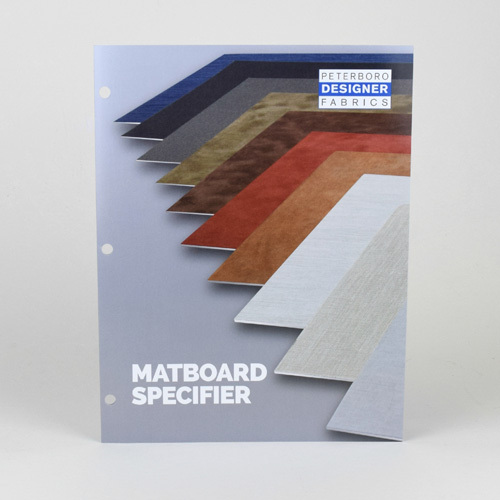 Please note that we are forwarding your request to the distributor you have selected as all our samples and marketing materials are delivered through our distribution network. 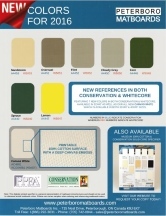 It is up to the discretion of our distributors as to wether or not they will charge for marketing materials. Please allow extra time for delivery, as we may be processing higher volumes of requests.